CBRE is a world recognized global brand in the Data Center industry as technical advisors as well as providing full-services data center facility management. This specific site operated by CBRE is the main Data Center for the Bank of America in Richardson, Texas. Our partners at Data Center Solutions in the USA, have worked closely with CBRE to help them face the issues surrounding contamination in Data Centers. Assistant Chief Engineer Mark Fails implemented the use of Dycem as an alternative to tacky mats, due to the many problems they create. The company faced issues with dust and particulate being released into the air-flow system when each tacky mat was removed from the floor. CBRE also found that the cost implications with constantly purchasing new tacky mats every month was becoming a burden. The main locations that Greg Salvati of Data Center Solutions suggested for CBRE were at all entrance and exit points into the main data hall. 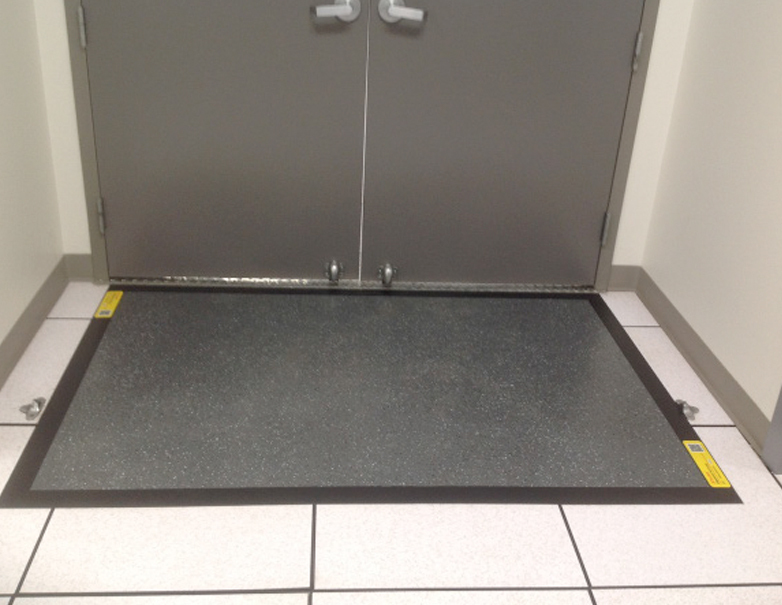 Since the implementation, CBRE have been very satisfied with the Dycem flooring systems.